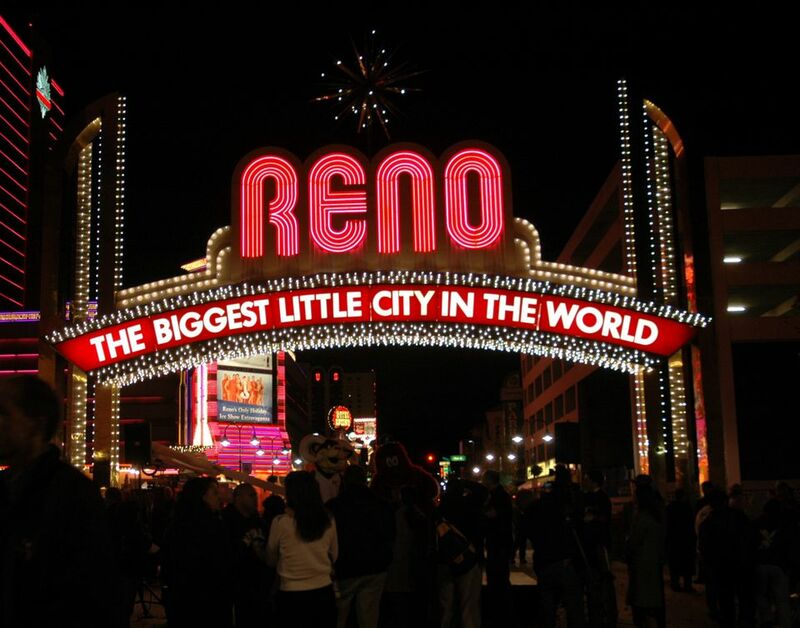 Reno and Sparks residents, like most Americans, love going to the movies. The metro area supports four multi-screen theaters (including an IMAX screen), a cinema at the Grand Sierra Resort, film features at the Fleischmann Planetarium and a real-live, functioning, retro drive-in. This movie house is in Reno's Summit Sierra shopping center on the southern fringes of the metro area. Tickets are a little more expensive than the other theaters closer in, but you get a more posh setting that includes theaters called Luxury Loungers, which have electric-powered recliners and oversized, plush seats. Seats in Luxury Lounger theaters are reserved. Century Summit Sierra also has stadium seating and an arcade and is wheelchair-accessible. The Park Lane is similar to the other Century theaters around town, which is to say it's nice. It offers stadium seating, game room, cafe , and listening devices and is wheelchair-accessible. The Riverside 12 is in downtown Reno by the Truckee River in the Riverwalk District of shops, restaurants, coffeehouses, and art galleries. Going to the movies here is a welcome part of a day spent enjoying Reno's urban environment. This theater has stadium seating and an arcade and is wheelchair-accessible. This newish Reno area theater brings IMAX to town. You can make reservations at this plush theater, which features reclining seating and Dolby sound. To get the best experience watching a blockbuster, these 3-D screens are the best there is. The theater is located on Scheels Drive in The Outlets at Sparks. The Fleischmann Planetarium and Science Center is on the campus of the University of Nevada at Reno facing North Virginia Street. While you're waiting for your movie to start in the Dome Theater, check out the center's gift shop for out-of-this-world gifts and explore the exhibit space after your movie is over. You'll find the usual fare of outstanding star shows, but the movies are awesome, and the theater's surround sound makes it all seem real. Both star shows and movies change regularly. You can go to the drive-in around Reno, a rare treat indeed in the 21st century and a throwback experience of the mid-20th century that's hard to find these days; it even includes double features. But it's not all retro: El Rancho has four screens and it's all digital. The El Rancho's survival might have something to do with hot August nights. This is a fair weather sport, however, so don't be disappointed if you can't watch movies under the stars in December.